Kitchens and the use of technology don’t always mix. Wet and dirty hands aren’t optimal for using most devices. The Triby is a speaker meant to help you stay connected even if your hands are covered with tonight’s dinner. Triby isn’t just a speaker, it does more than just play back your favorite internet music (although you can just do that. It will also allow you to take calls and receive texts without having to touch your own phone. 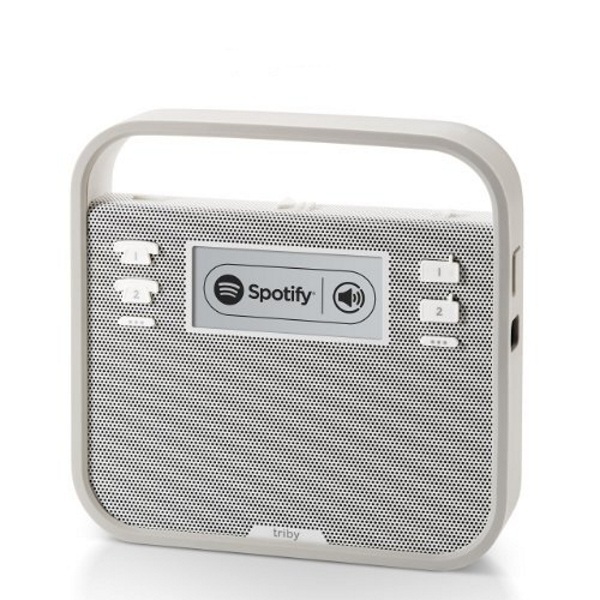 The Bluetooth speaker allows you to handle standard hands free activities as well as stream your favorite kitchen hits. This gadget also gives you free internet calls between it and anyone who have the companion app installed. So if your hands are damp, just use the device itself to contact your significant other to pick up that one thing you forgot. There’s also a display so you that you can receive messages there or you can send them yourself as little reminders to others in the home with the app. It has a magnetic back and is meant to stick to your fridge. It’s rechargeable via micro-USB. The Triby is $199.